Studies have shown nearly a third of all healthcare expenditures are unnecessary. The same procedure can have dramatic differences in costs, even holding many inputs constant. Given that these higher costs don’t translate into better outcomes, it becomes imperative for hospitals to identify the causes of variation and determine ways to standardize care. Fortunately, with the explosion of data, hospitals now have the opportunity to dig through their data to precisely identify clinical variations and uncover their own existing best practices. Ayasdi’s Care application provides a way to efficiently extract best practices, standardize care and improve patient outcomes. 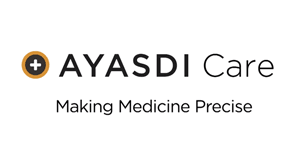 Ayasdi Care considers all the variables for each procedure or treatment to determine optimal clinical pathway. To learn more, attend our upcoming webinar where we’ll have Mercy, one of the most innovative health systems in the U.S., discuss their initial challenges and their successes with implementing the Ayasdi solution.